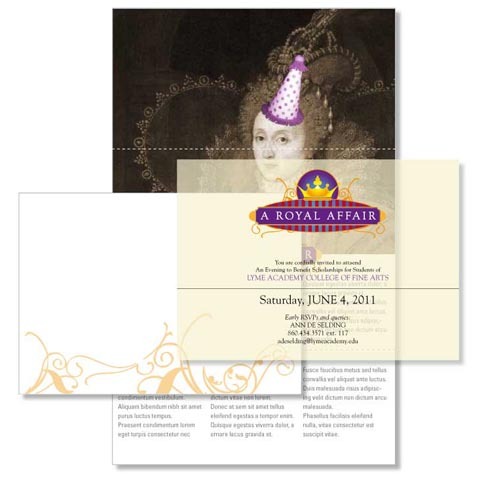 These are the Invitation ideas for the hoity-toity Royal Affair. 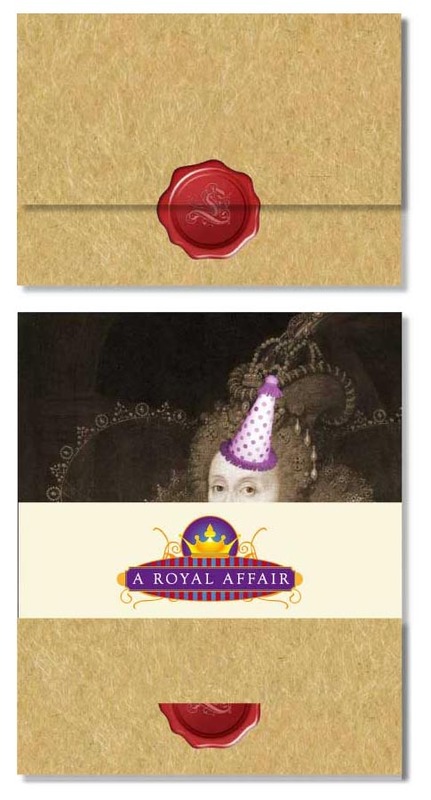 The Queen with the party hat resurfaces for this fully appointed printed invite. I always felt that any self respecting invite should have a few pieces to make it feel special. 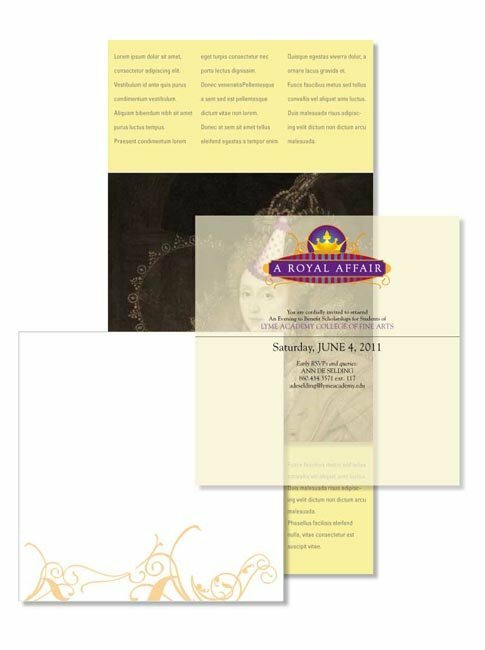 In these sketches, we’re showing a carrier with a “printed” parchment surface, invite on translucent vellum and a note card on a Cougar matte.